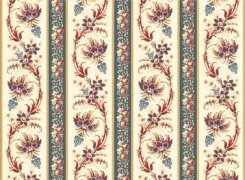 American Beauty from Gerri Robinson features a large floral and a wallpaper-stripe print in shades of red, white, and blue. Smaller prints in all three shades coordinate. 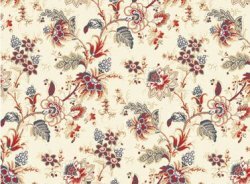 And we have tone-on-tone fabrics as well. We liked it and so did you! And who wouldn't? Those brights with clean white look like a box of crayons on the shelf! 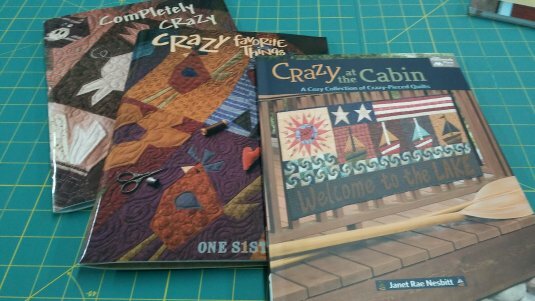 Janet Rae Nesbitt of One S1ster, formerly of Buggy Barn Quilts, has published 3 new books featuring some of the best of Buggy Barns "crazy" designs. We just got the books in and they are great! We just got a few more of this popular book in as well. On Facebook? 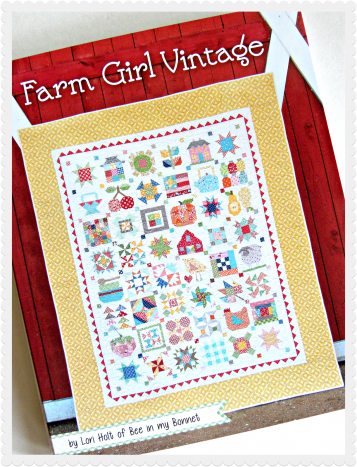 Check out the new Facebook group, Farm Girl Vintage Quilts, hosted by customer, friend, and long arm quilter, Laura Reynolds. See what others are doing with patterns from this great book by Lori Holt. And check our calendar for dates and time for a Farm Girl Sew-A-Long starting in May. So many of you like Mary's Gemini quilt that she has kitted it just for you. 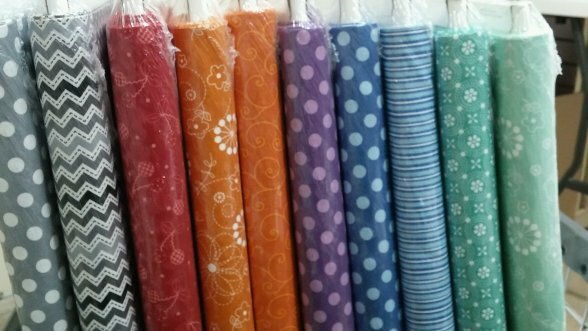 Brights on white is available at only $34.99 and will make a 52X65" quilt. Watch for our new schedule of classes and events for May and June. Our Spring Fling Sale is scheduled for May 10-13!